The ketogenic diet is never the smoothest and friendliest diet. However, it when it comes to results, this one is merely unbeatable? This is a type of an extremely low-carb diet that helps you lose weight more than a low-fat diet can do. Instead of avoiding fats, the diet encourages you to consume it because carb and glucose are no longer available as energy sources. Once the fat is being utilized, it will be burnt from your system, causing you to lose weight. If done continuously, you will enter ketosis. In this state, your body has gotten used to fat as its primary energy source. Especially, the fat is converted in the liver as ketones, and they are ones that are being used by your cells. The ketogenic diet has a lot of benefits. It does not only make you lose weight, but it can also improve your mental health and overall wellness. But before you can achieve these perks, you should learn to avoid these following keto diet mistakes.one of them being “Ketosis” smell which you achieve since acetone, one of the three types of ketones is released from your body due to this diet being followed, as pointed out by Markham Dental. We always have this idea that fats make us gain weight. Although it is a fact that we have embraced already, this doesn’t mean that we cannot turn it the other way around. Fat is crucial for the ketogenic diet. Being afraid of it means that you cannot accomplish this diet at all. As what I have said, the diet requires the utilization of fats as a replacement for glucose. Fat is accepted in this diet as an energy source, not as a macronutrient that you are going to store. It will get burnt eventually and be converted into ketones so that the cells in your body–including brain cells–can use them. You just have to understand that the ketogenic diet has a different mechanism of using the nutrients that you take. At first, you might feel awkward about it. But in time, you will get used to eating healthy sources of fat. The ketones that are being released by the liver can come in different forms. Most of the time, the ketone body called the beta-hydroxybutyrate, or BHB is utilized. The reason for this is due to its abundance and stability compared to other ketones. When you are in a ketogenic diet, it is one of your objectives to ensure that you have a healthy production of BHB. It would be beneficial on your part if this is the primary ketone that is being utilized by your cells. But before you can have an optimal production of BHB, it is necessary that your fuel source is healthy as well. We have been talking about fat as your “battery.” But not all fats that you see should be included in your diet. The good fats are derived from meat and dairy products. Eggs, butter, and even fish oil are also excellent sources of healthy fats. They are recommended in the primary menu of the ketogenic diet. If you think that the fat you get from processed food can help you in your weight loss endeavor, think again. Your body will never be able to handle them adequately. That’s the very risk of taking them. We have already emphasized that the ketogenic diet is something that can help you lose fat significantly. Technically speaking, that’s the fact that you should believe in. You can find a lot of people who were able to tone their bodies due to this diet. However, don’t ever expect that the ketogenic diet works like magic. The fat-loss process doesn’t even happen within a week or month. Well, in some cases, it could, but you shouldn’t expect that it will happen as soon as you started it. The changes in the scale do not happen uniformly either. You might have a friend who has lost weight as a matter of three to four weeks after they have engaged in this diet. You are already in your second month, and you are barely seeing any results. Should it disappoint you? It must not. You see, the speed of the results is entirely dependent on your body. Our systems are made to work differently. Therefore, you can’t expect that my reaction time is the same as yours.Maybe my metabolism is faster than yours. It is perhaps the other way around. However, let me tell you that being gradual is entirely okay with the ketogenic diet.Always remember that this diet is not a competition. Instead, see it as a long-term approach to become healthy and fit. People who are still new to the ketogenic diet typically complain about constipation. It is quite a funny thing, but actually, illness is one of the minor side effects of this diet. The sudden shift of diet is one of the likely cause of this symptom. However, it can be easily solved if you drink enough water on a daily basis. If you are not hydrating yourself while on the initial stages of this diet, you are more susceptible to these inconveniences. It is quite hard to determine how enough is enough. I cannot say that the standard eight glasses a day is actually applicable here. That’s the very reason why you need to consume more water than this. If possible, the daily water intake of a person who is in the ketogenic diet should be proportional to his/ her body weight. For instance, if you weigh around 200 pounds, the amount of water that you should take should reach about 200 ounces as well. It is a unique way of quantifying the water volume, but it should work on your case. Furthermore, there are appropriate moments where you should drink water. If you are taking smaller meals, you need to wait at least an hour before you hydrate yourself. For large meals, the hydration should have an interval of two hours. Doing this regimen is always beneficial, primarily that it assists in the healthy digestion process. 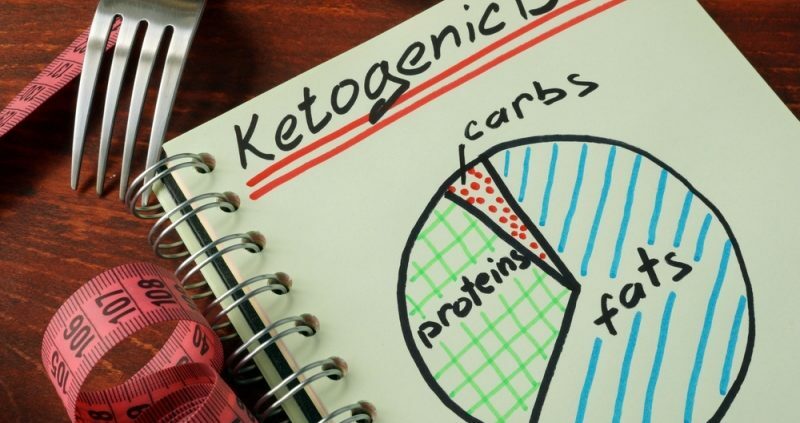 Every time people hear about ketogenic diet, they always a conception that it is merely a low-carb diet. And when they think about low-carb diet, they still have the assumption everything else can be consumed without any restrictions. That idea again is a complete blunder to the diet. You need to understand that consuming other macronutrients at unwanted level is still not advisable in this eating regimen. For instance, too much protein is not good for those who want to experience the full benefits of the ketogenic lifestyle. Why? Because it prevents you from entering full ketosis! When you have too much protein your body, an excessive build-up of amino acids will take place. These amino acids can actually be converted into glucose, which breaks the heart of the diet in the first place. What you need is dietary fats, not glucose. Furthermore, excessive levels of protein can cause other harm in your body. They can cause acid build-up. If they are taken on a daily basis, these acids can cause fatigue and exhaustion. Take note that the appropriate level of protein should follow this ratio: one gram per one kilogram of body weight. Follow this equation, and you are good to go. As much as possible, a person who wants to enter in full ketosis has to do proper meal planning. It is entirely wrong that you just skip this part because that will eventually jeopardize the diet in the first place. Don’t ever think that you can just eat and consume whatever you see without minding the quantities. You still have to get things right to ensure that your body has sufficient supply of the necessary nutrients. It is not right if you have only had fats in your body. Essential macronutrients are still necessary because merely, they complete the system of your body. If you want to continue living your life as nothing has changed, you have to make sure that what you eat are planned. Meal plans establish balance and accuracy. You don’t want to undereat or overheat while in the ketogenic diet. Meal plans ensure that you know what you are eating. But other than that, it also allows you to be more practical. You will avoid buying the wrong things or eating out on places out of confusion or panic. The ketogenic diet is a potent type of diet. One should always remember this. It is one of the tested-and-proven methods of regulating your weight and improving your overall wellness. Of course, the ketogenic diet is not perfect. There are some side effects that you can feel while you are trying to achieve full ketosis. Constipation and fatigue can be among those. However, these things can be mitigated if you will do the diet correctly. You just have to avoid all the things that I have listed here to ensure you can continue the diet without any problems. In the long run, you will eventually see that committing the straight path is all worth it.That’s it for now. If you have questions or suggestions, feel free to drop them in the comment section below. What Is Axillary Nerve Dysfunction?